Indian Navy’s Admiral Sureesh Mehta PVSM, AVSM, ADC retires today, August 31. He took over as Chief of the Naval Staff (CNS) on October 31, 2006 from Admiral Arun Prakash. 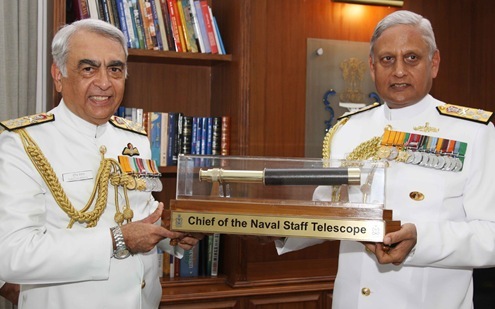 Admiral Nirmal Kumar Verma, PVSM,AVSM,ADC has now taken over as the 20th CNS of Independent India and the 18th Indian to take command of the Indian Navy. 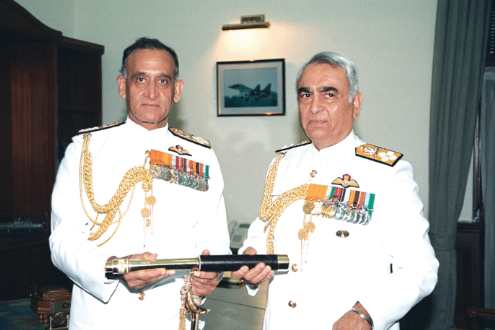 Handing Over to Admiral Nirmal Kumar Verma on August 31, 2009. Taking Over from Admiral Arun Prakash on October 31, 2006.